Hey everybody! Meet Beezus Christ, Super Car. But Really. 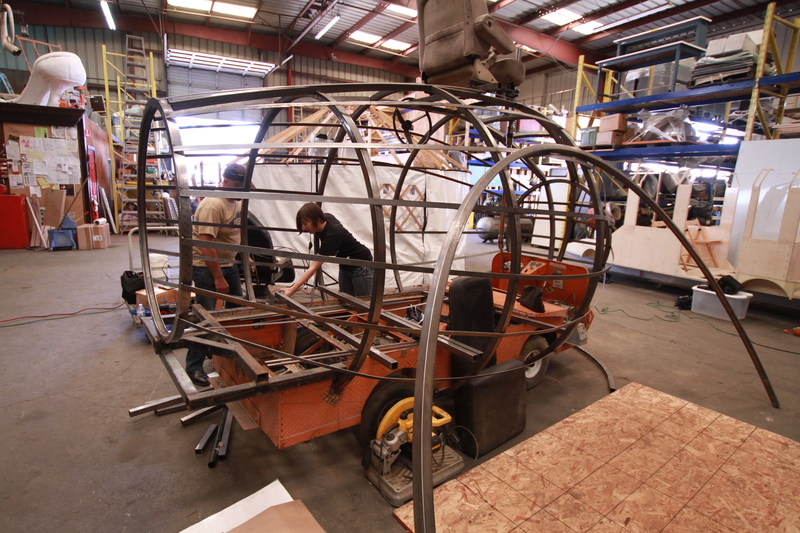 Beezus is a giant bee art car that will be spreading the gospel and offering honey from around the world and mead to weary travelers. We may force you to join our cult and accept Beezus into your life. But hey, it’s a fair trade right? Check it out! Donate if you can! And don’t forget to share it so we can share this with everyone out there! I’ve got some honey from Sri Lanka that I would LOVE to make it to the playa with BEEZUS…how can I get it to you? Hi Jess! There are a few options. If you live in the Bay Area, we can arrange a meetup. Otherwise, we can give you an address to mail it to or you can bring it to us on the playa! What’s most convenient?